Fundraising turned out to be a lot easier than I expected. I sent out an email to my entire office (more 150 people) to explain what I was doing and added a link to my fundraising page. I slowly watched the support come in. However, I wanted to do more. My company has a program for matching contributions, so I talked to them and they said that if I raised $500, they would match it. Over the next few months, I raised money as I trained for and ran my races, and I hit my goal! I raised the $500 and my company matched it. It felt so good to raise the $1,000. 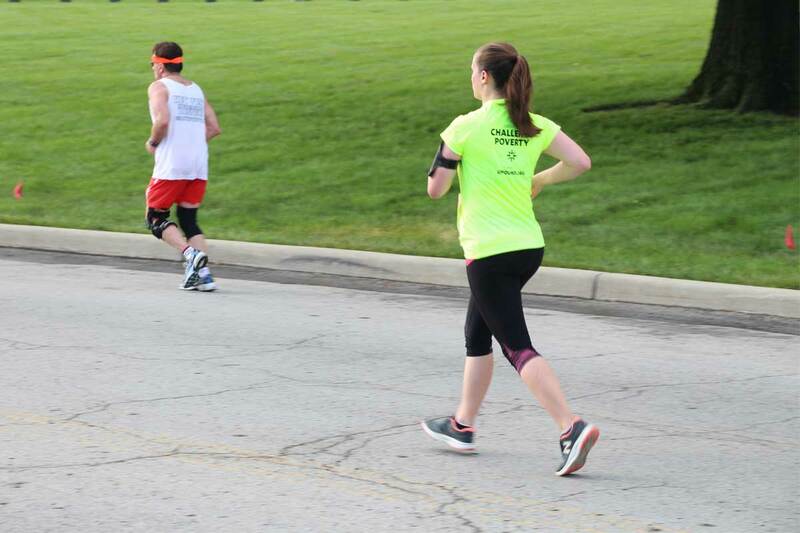 April takes part in the 2017 Hospital Hill Run in Kansas City. I always wanted to be a sponsor, but I wasn’t quite ready for the commitment. Joining the Trailblazer program gave me a different way to help out. 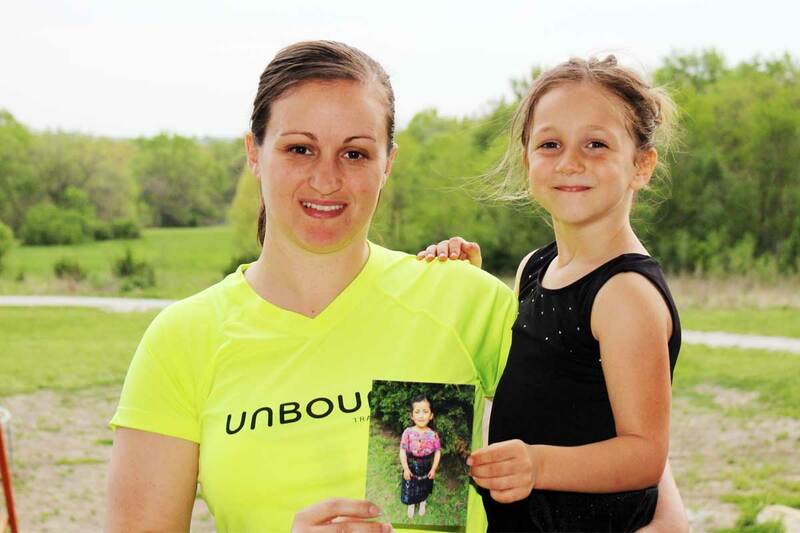 After I ran my races in the fall, I did Kansas City’s Hospital Hill Run in the spring with the Unbound team. I spent the day at their international headquarters getting to know more about their mission and the different programs they do. I spent time with sponsors, listening to their experiences and stuffing letters from sponsored friends. I decided to go online and look at the children available for sponsorship. I wanted to sponsor a child close to my daughter’s age since it would be an awesome experience for her, too. The second one that came up was a girl three days older than my daughter and who lived in Guatemala. 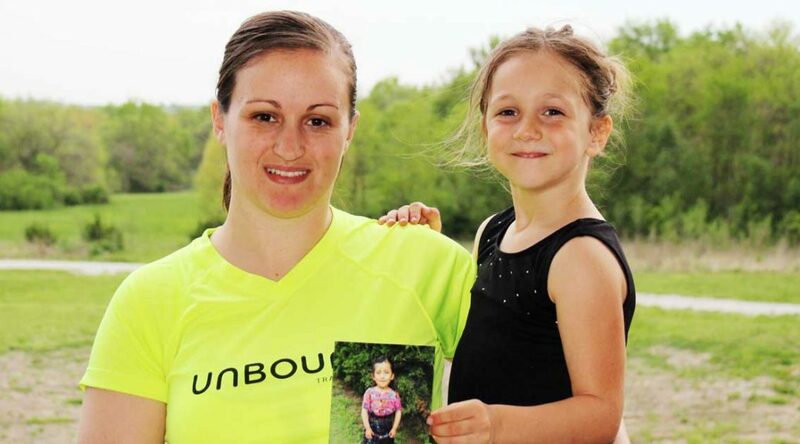 I went to the race the next day thinking about that little girl, and then someone gave me an Unbound bracelet with a tag on it that stated the name of the woman who made it, Maria. She happened to have the same name as the little girl I saw the night before. I told myself it was a sign and I spent most of my 10K run thinking about her. I went home after that race and signed up to sponsor Maria. It was the best decision I made! It’s such a joy to get a letter from her mom and to read it to my daughter. It usually includes a picture drawn by Maria, and my daughter loves to look at it. It’s fun to learn about Maria’s family and what she likes to do. It’s neat to see the things she has in common with my daughter, even though they live in different countries. I look forward to many years of writing with her family and especially to the days she can start writing herself (she’s currently 4). If you’re thinking about becoming a Trailblazer, don’t hesitate — go for it! It is truly a rewarding experience and will give you motivation for your runs. I even went on to run a half marathon. You will truly feel like you are part of a family. If you’re not ready to be a sponsor yet, like I wasn’t, it’s a great way to get involved and contribute to such a great cause and a remarkable organization. I am so happy I found Unbound and get to spend time with them. Visit Unbound.org/trailblazers to get involved.